If you're committed to making your own DIY wedding favors, we here at Weddingstar commend you! 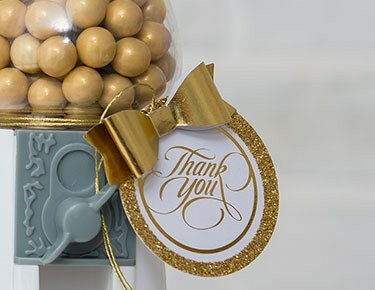 In fact, we're such a huge fan of DIY favors that we've hand-selected an awesome assortment of favor essentials to help you bring your big vision to life. Whether you're looking to create homemade apothecaries (small hand cream wedding favors or bath salts, perhaps?) or want to spoil your guests with individually-wrapped candies, these favor essentials will help tie it all together. 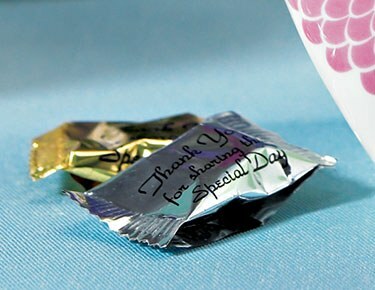 Our selection includes unique small metal favor charms, custom rubber stamps, personalized ribbon and favor fillers. We have everything you need to start your homemade favor endeavors from scratch. Build your very own DIY wedding favor kit starting with our favor boxes, bags and containers and then choose from a variety of inexpensive favor fillers, like our adorable and oh-so-romantic bulk conversation hearts and individually wrapped candies. Next, it's time for the fabulous finishing touches! Complete your cute favor displays by tying up each sweet gift with a personalized ribbon that has been customized with your name, wedding date or special phrase. 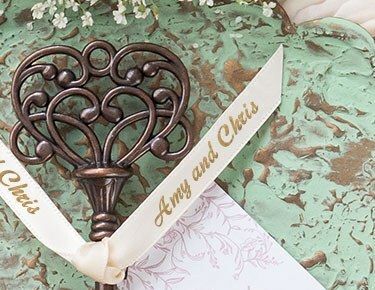 To ensure that your wedding favors suit your wedding theme, peruse our assortment of small metal charm decorations — anchors, keys, compasses, horseshoes and more — to add a sweet, special finish. Weddingstar can also help you create your very own DIY favor tags using our custom rubber stamps. Available in an amazing assortment of unique themes and styles ranging from woodland whimsy to ultra-trendy, these personalized stamps are a great way to add a personal charm to your wedding favors. They also make a fantastic finish for your wedding stationery and bridal shower gifts. Make sure to explore Weddingstar's complete selection of wedding favors and extras to find the best-of-the-best inspiration for your original favors.